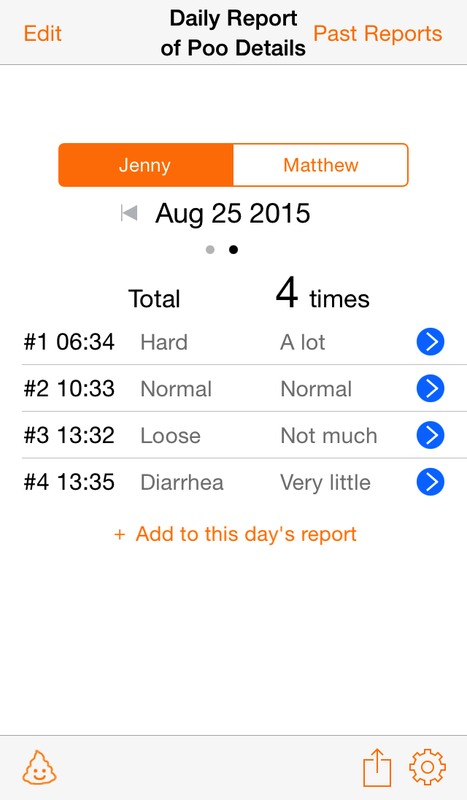 Simple Baby Poo Log | Little Grass Inc. 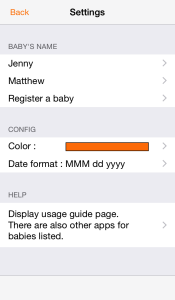 If you register more than one baby, tap on the baby to register their poo information. Please tap this icon if you would like to specify a date and time for poo registration. Tap the status for the poo being input. Tap the amount for the poo being input. 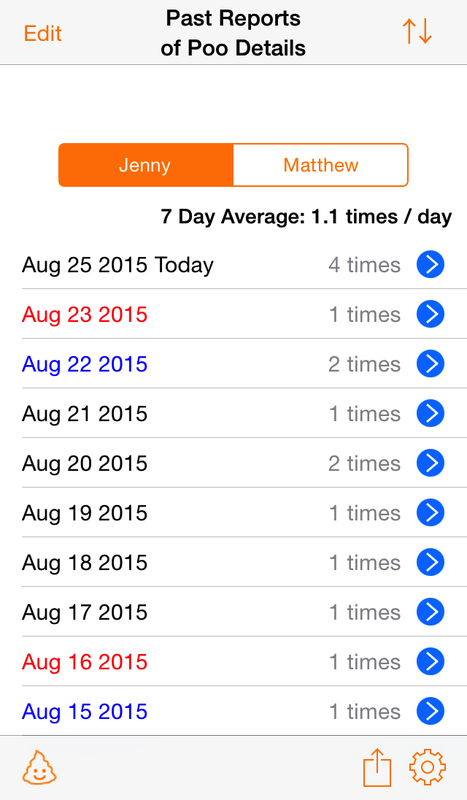 Register the selected values and the “Daily Report Screen” will appear. 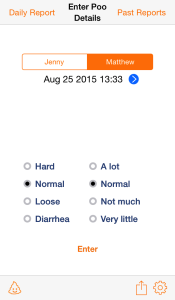 When you tap this screen, the amount and status for the most recent poo will reset to “normal”. 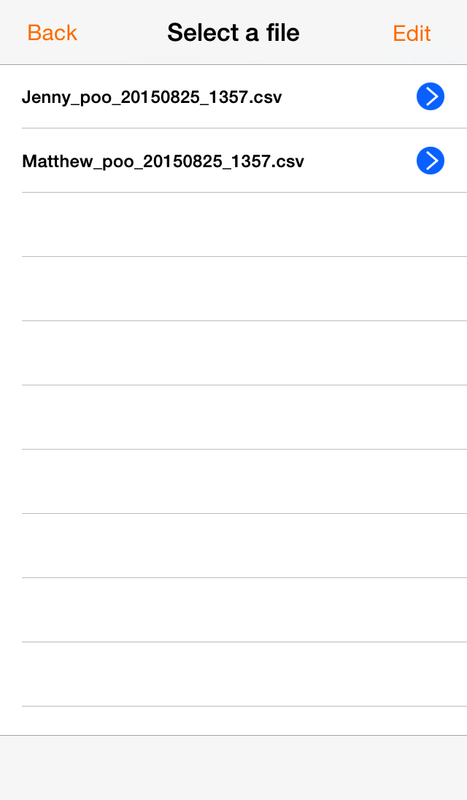 Tap “Input/Output” if you want to externalize or share the registered input data. In order to receive a file, you can either use Mac’s iTunes file sharing or a PC. 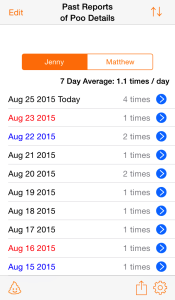 It can be received by email or another iOS app. 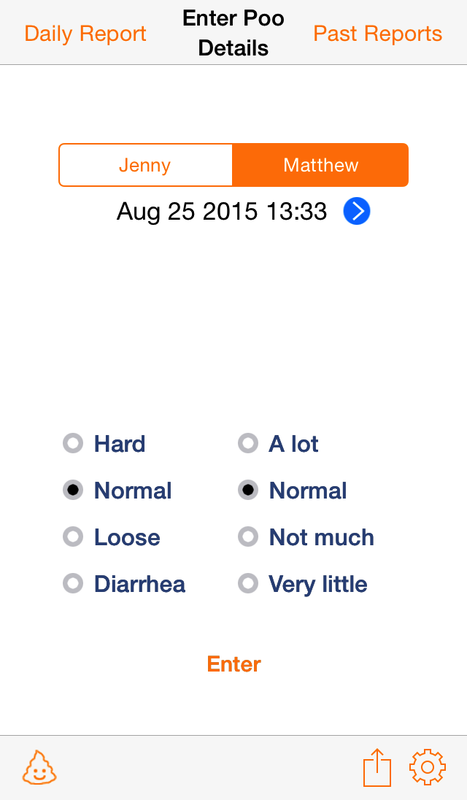 Select “Simple Baby Poo Log” from the list of data. 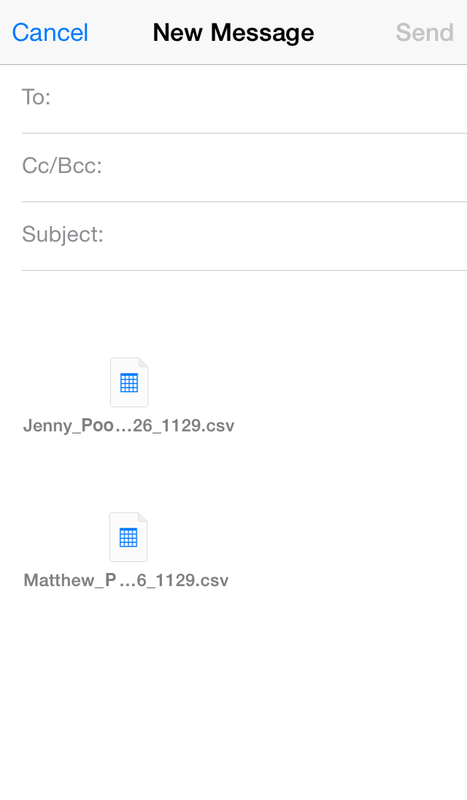 Tap the “Poo Registration Editing Screen” for it to appear. Explanation of how to receive import files. 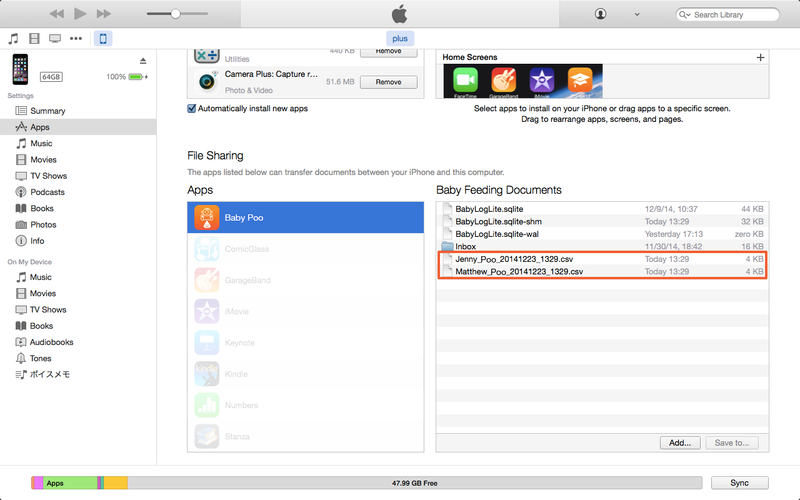 It’s possible to copy by connecting the iOS device to iTunes, selecting the simple baby poo log with the file sharing function in the Apps screen, and then drag-and-drop through the document fields. 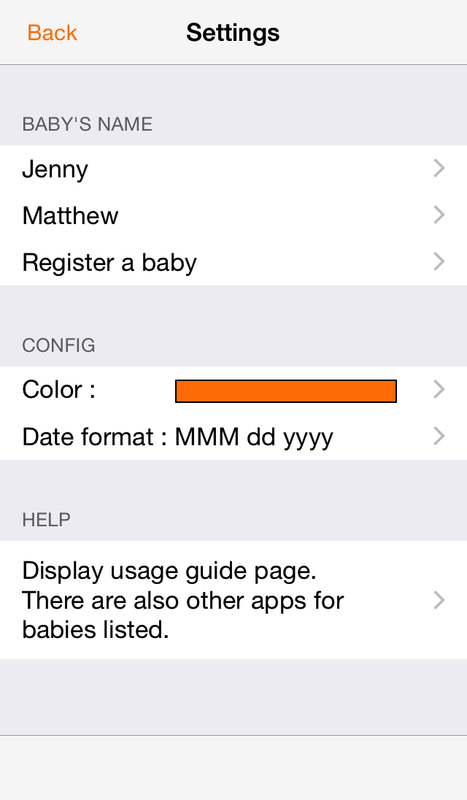 * You can receive file imports by email or other iOS applications, and you can also receive them by selecting the “Simple Baby Poo Log” from the data sharing list.